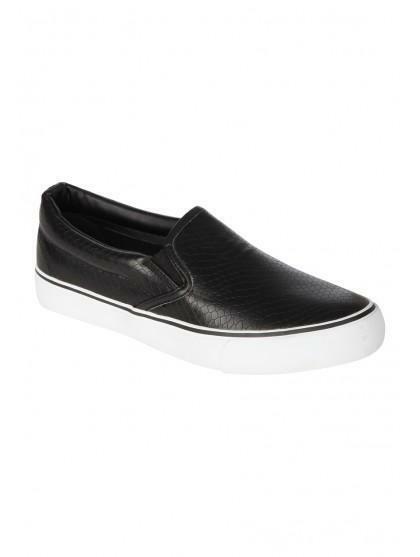 Get the sport luxe in these womens slip on casual shoes. 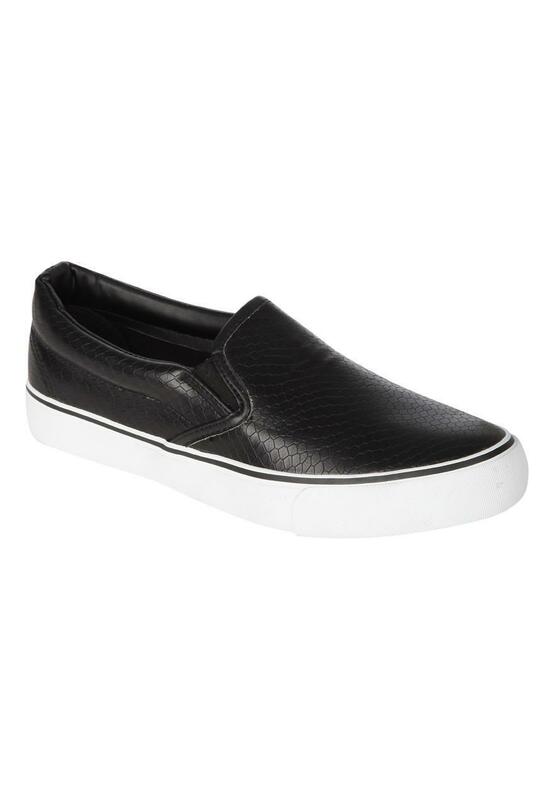 These sleek slip ons feature a black PU panel and contrasting white soles. Wear with check trousers and a polo neck for a preppy, AW'14 look.